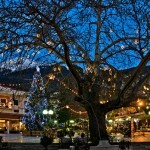 Macedonia is “the land of the holidays”. 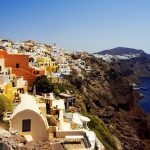 Citizens of this small Balkan country love to celebrate with friends and family in a lively atmosphere round full tables. With about twenty public and religious holidays it is among the countries with the biggest number of days off work in Europe. New Year’s Eve and Christmas celebration is a story in itself. The first weeks in January inflame the hedonistic spirit that lies hidden in the macedonian soul. Music blares until early morning hours, there is food and drink in abundance as if it is the last meal before the end of the world. Celebrations usually start a few days before December 31st as warm-up parties for the “craziest night” as people love to call it. Restaurants and coffee bars are crowded with people celebrating together with their friends, family, colleagues and even people they’ve never met before. During these days people do not save money on anything. There must be enough money for presents, restaurants and most importantly, for food and drink to fill up the fridge. This fever of consumerism makes January the longest month of the year. After two weeks of festivities the household budget is empty, but nobody cares so long as the holidays go just right. 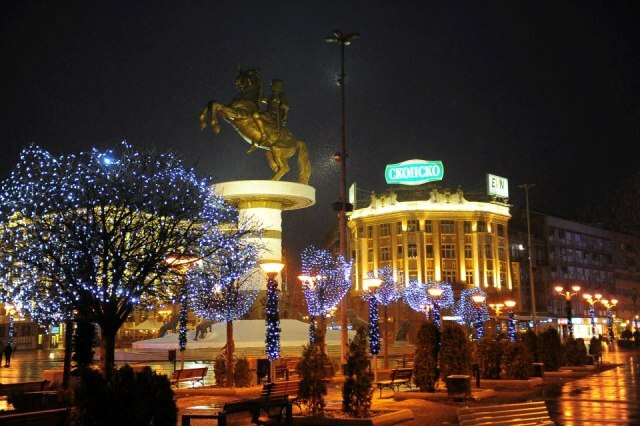 Macedonia is one of several other countries where people celebrate the beginning of the new year twice. The official celebration is on December 31st and there are big parties organized on town squares with concerts, food, drinks and fireworks. All other holidays are celebrated according to the Julian calendar. On 6th January Macedonians celebrate Badnik (Christmas Eve), and then the birth of Jesus Christ on 7th January or Christmas Day. These are family holidays so there is an old saying “No matter where you are, you come home for Christmas.” This big Christian holiday is announced by little koledari (carolers) who start their rounds in the early morning hours on 6th January. Groups of 5-6 children visit their neighbours singing carols and expecting fruit, candy and money as reward. 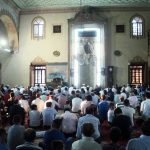 In the evening the whole family gathers for dinner and they share bread with a hidden coin in it, which is believed to bring good luck to the receiver for the coming year. Many families share the bread with a coin on 14th January on Vasilica, which is St. Basil’s Day, and also the first day of the new year according to Julian calendar. The night before, on the 13th January people celebrate a holiday with a rather unusual and contradictory name – Old New Year. The January Christian festivities in Macedonia are accompanied by a number of pagan customs such as Badnik fires and Vasilica carnival. 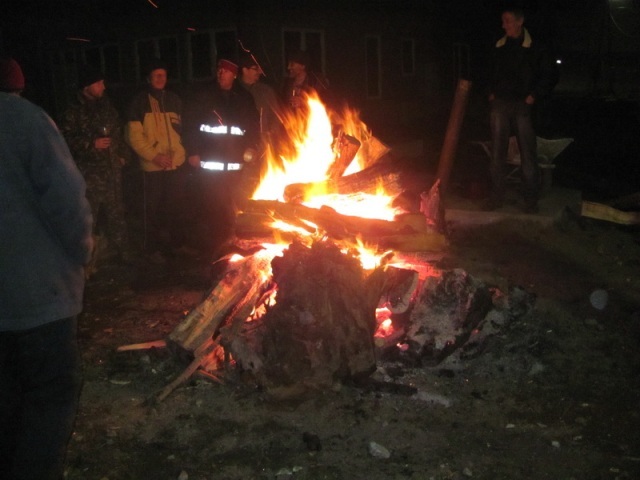 Badnik fires are lit round the country, and this custom has become so popular in recent years that every neighbourhood organizes their own celebration. Neighbours gather round the fire, tell jokes, sing and dance. There is always plenty of lent food – fish, sarma, salads and pies. A distinctive mark of these late night outdoor gatherings is boiled rakija, a perfect “elixir” for a cold winter night. 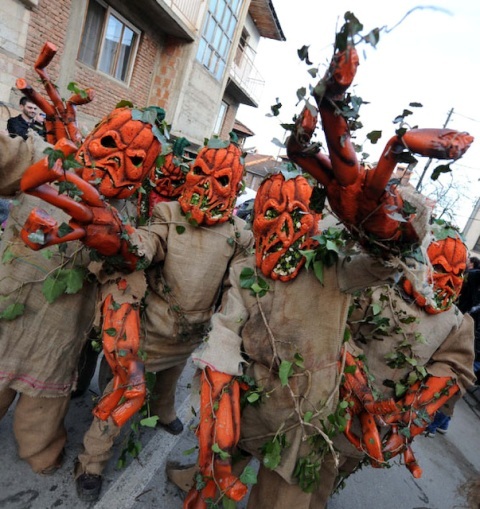 On 14th January there are several Vasilica carnivals organized round the country but the oldest and most popular one is in the municipality of Vevcani. 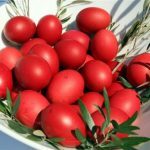 It has a fourteen centuries old tradition and has become a popular tourist attraction that draws a lot of tourists from Macedonia and other countries. Vivid masks and a sense of humour characteristic for the people of Vevcani turn this carnival into a unique event. It is believed that evil spirits and demons roam the land during these days so most of the masks are frightening in order to chase them away. A hungry bear doesn’t dance. 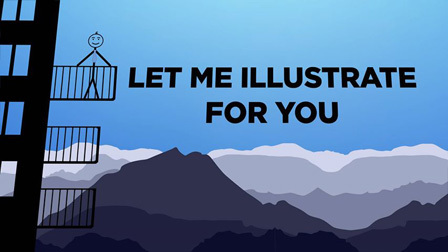 It seems that this proverb best describes Macedonians’ character. It is an unwritten rule that for any celebration you need to provide enough food and drink and the rest will come by itself. New Year’s Eve and Christmas holidays completely prove this rule. Tables are constantly full with different specialties, only the guests change. 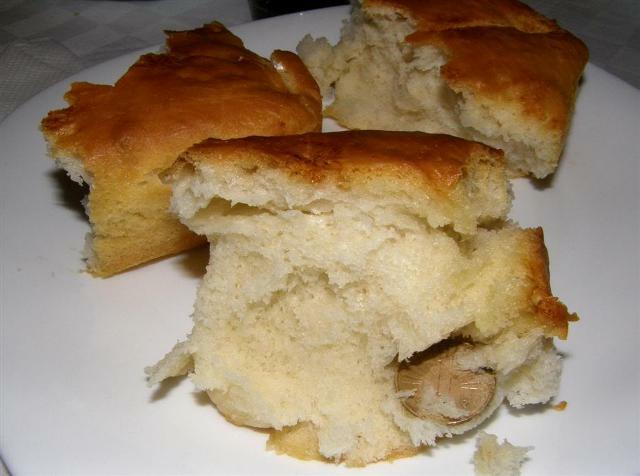 Every household prepares bread rolls, Russian salad, roast pork or beef and toast with home-made red wine. 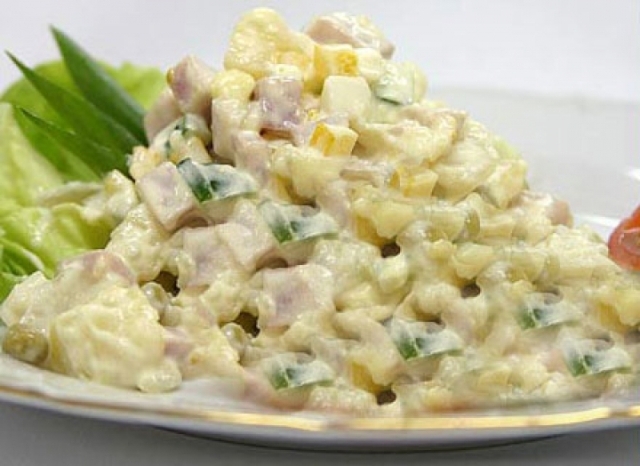 Russian salad is a mixture of boiled potatoes, grated yellow cheese, ham, eggs and mayo. For Badnik dinner there is lent food with fish and traditional Macedonian specialties sarma and tavce gravce (baked beans). Boiled chestnuts make a tasty snack with red wine. 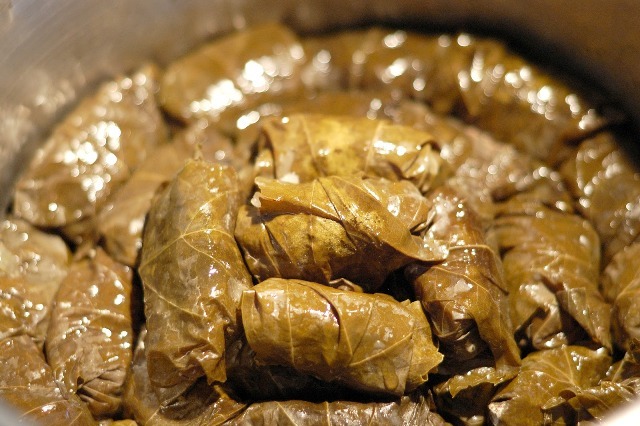 Lent sarma is a Macedonian specialty prepared with cabbage or grape leaves filled with rice, leeks and ground nuts. 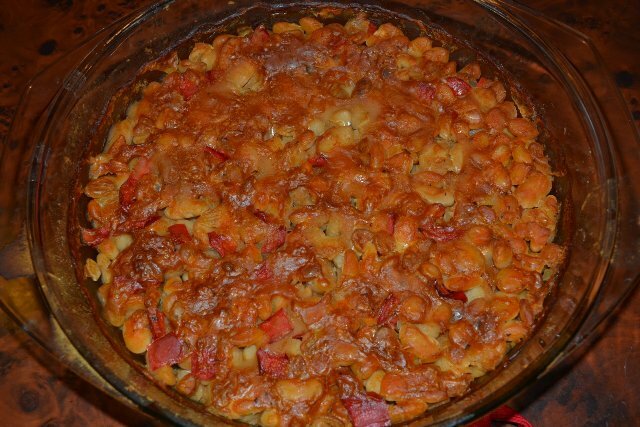 Tavce gravce is the most popular traditional Macedonian dish. Every tourist who comes to Macedonia must try it. 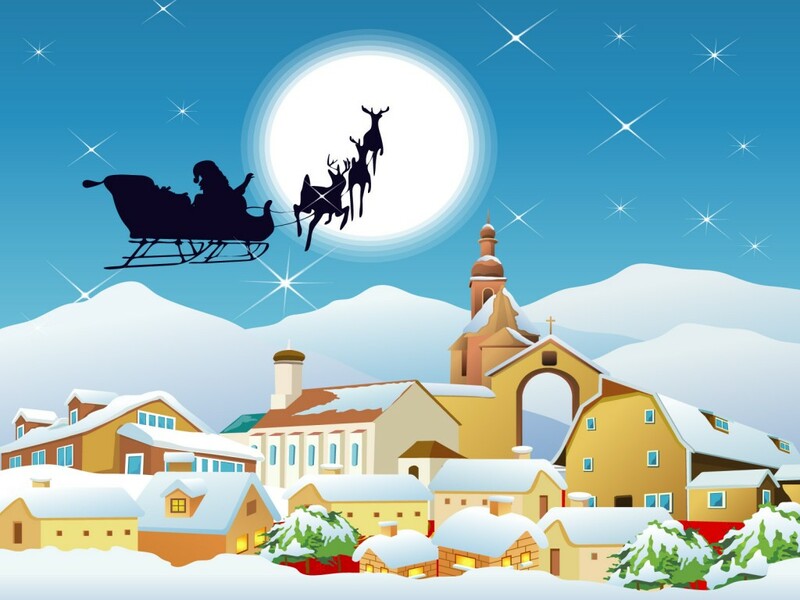 Balkon3 team wishes you a Happy New Year and a Merry Christmas. Celebrate the holiday season in good company with delicious food.